“What doesn’t kill you makes you stronger.” Ashlee Jensen had no idea just how many times she would recite this famous quote in the coming months regardless of the fact that she just tattooed it onto the right side of her chest and shoulder. She chose that saying because her “outlook on life has always reflected” this particular statement. 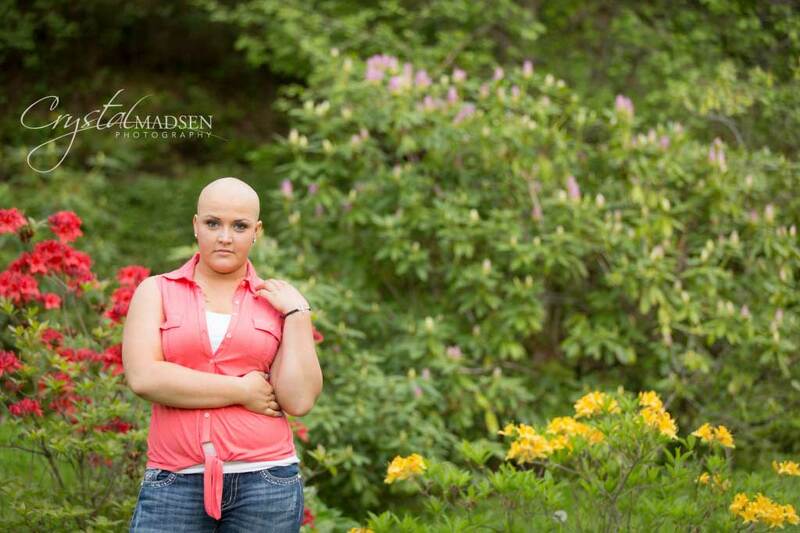 Ashlee has been gorgeously fighting cancer since February 2013. 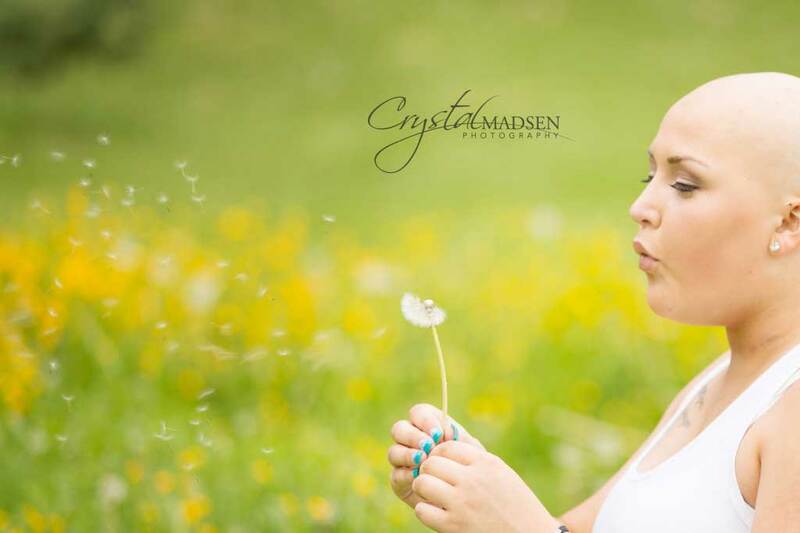 She was living a normal life of a 19-year-old: attending college to become a dental assistant, eagerly hanging out with friends at any given chance, and lighting up a room with that contageous smile and sparkling blue eyes. 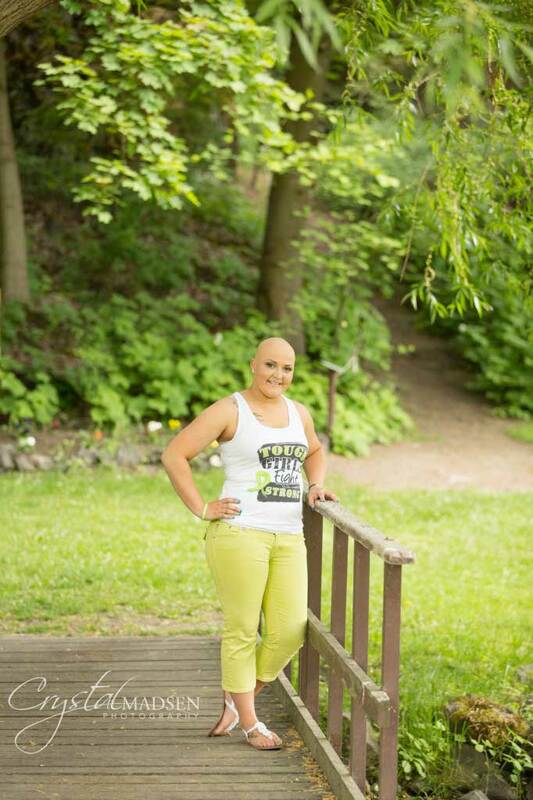 But Ashlee’s world stopped when she was diagnosed with stage 3 Peripheral T-Cell Non-Hodgkin’s Lymphoma. A cancer that is so rare that only 1 only 3 million in the U.S. are diagnosed with it. So rare, that there are no known case studies, experimental procedures or statistics for Ashlee and her family to review, research, or compare their own experiences with. 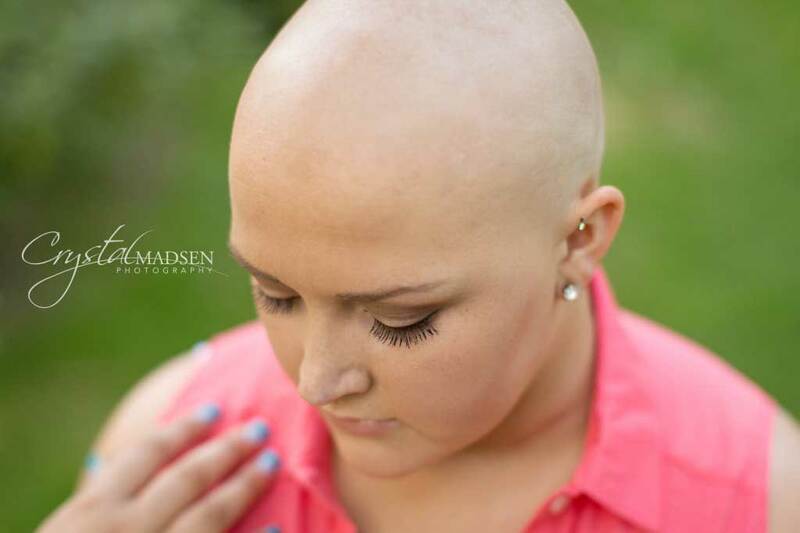 This leaves Ashlee not only terrified at the simple fact of having cancer, but terrified at living in the unknown and having no idea what to expect. I first met Ashlee in 2011 when I had the joy of taking her senior photos. With senior portraits, I typically remember one main thing about each student. 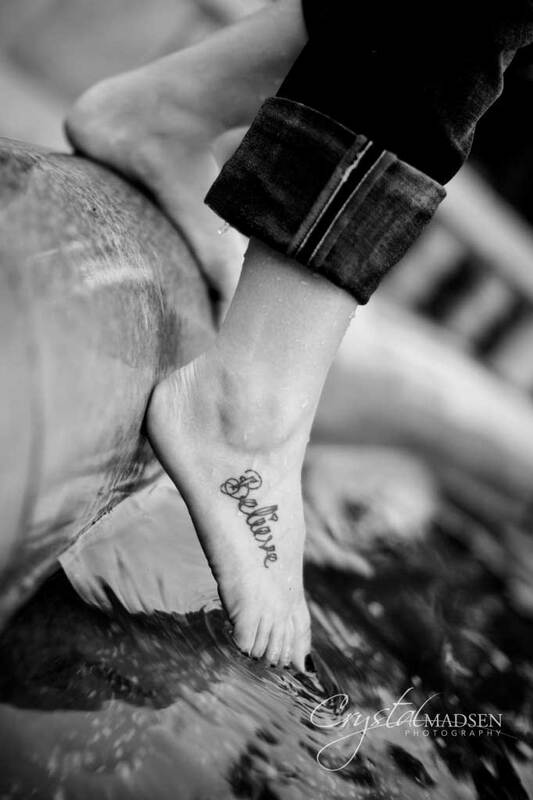 With Ashlee, I remembered two: her amazing blue eyes and her “Believe” tattoo on her right foot. Here eyes were so full of life and the deepest blue I had ever seen. Her tattoo, so perfect that I took a picture to showcase it. 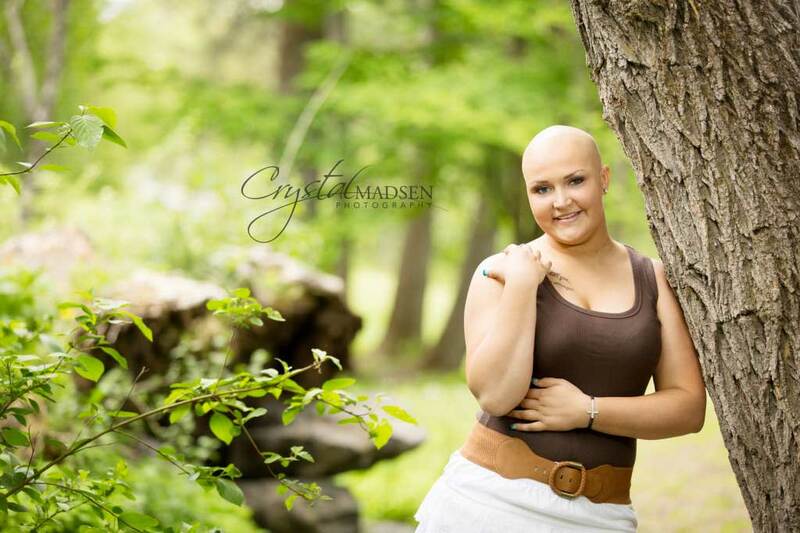 When I learned that Ashlee had been diagnosed with cancer, I immediately knew that I wanted to do a photoshoot with her. But before I could contact her, Ashlee contacted me. 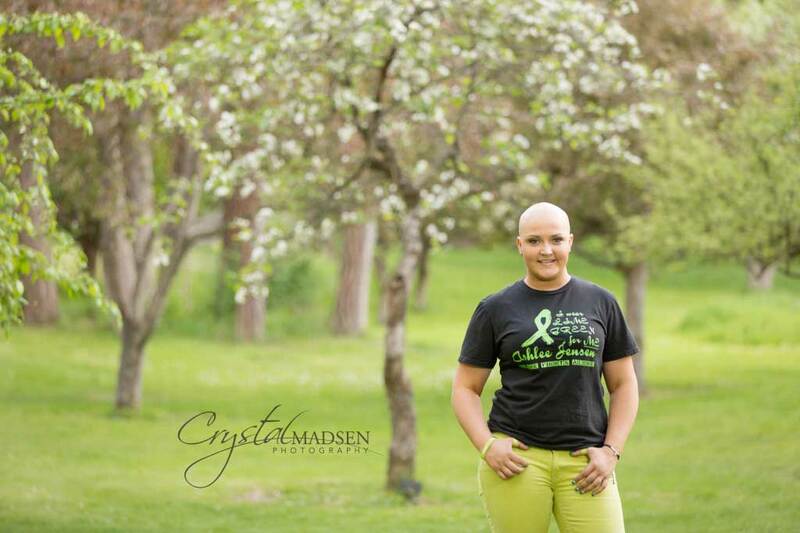 She had already had a round of chemo and knew she would begin losing her hair. 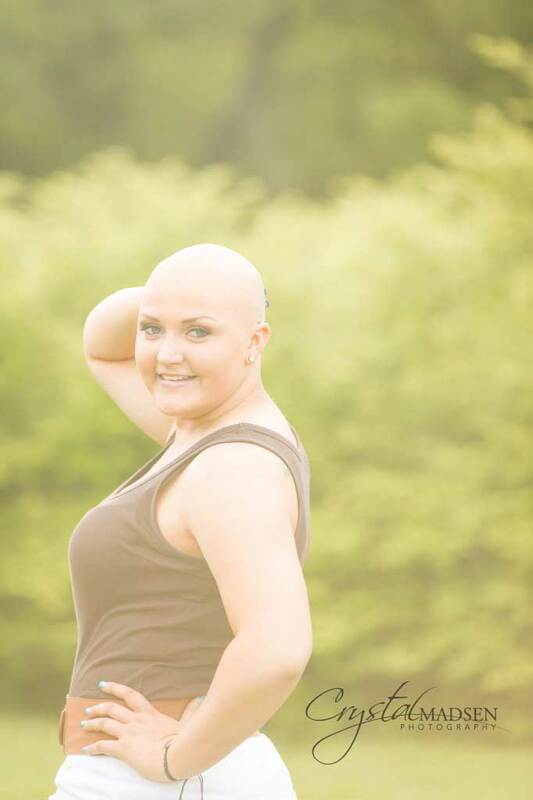 She wanted to document a point in her journey without her hair, but with enough energy to show the world that cancer has not (and will not) phase her. 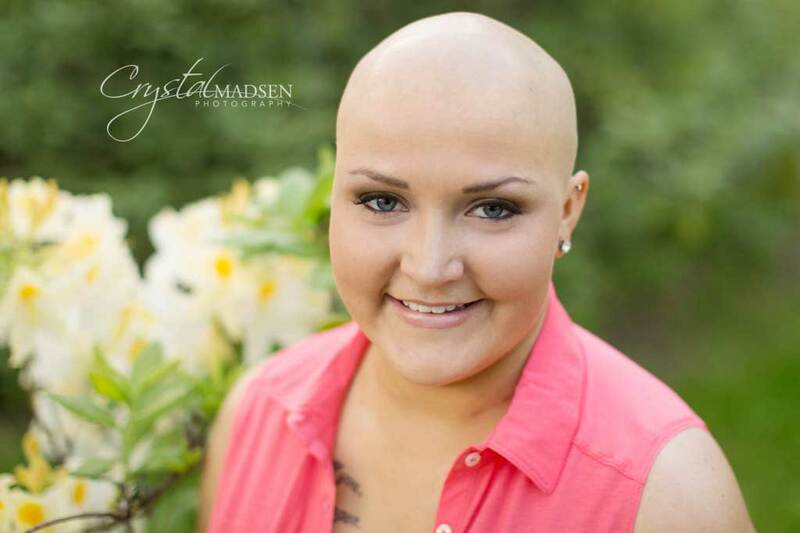 Honestly, without the obvious sign that this 19 year-old was battling cancer, I would have had no idea. Her attitude has not been jaded, her determination is inspiring, and her enthusiasm is humbling. 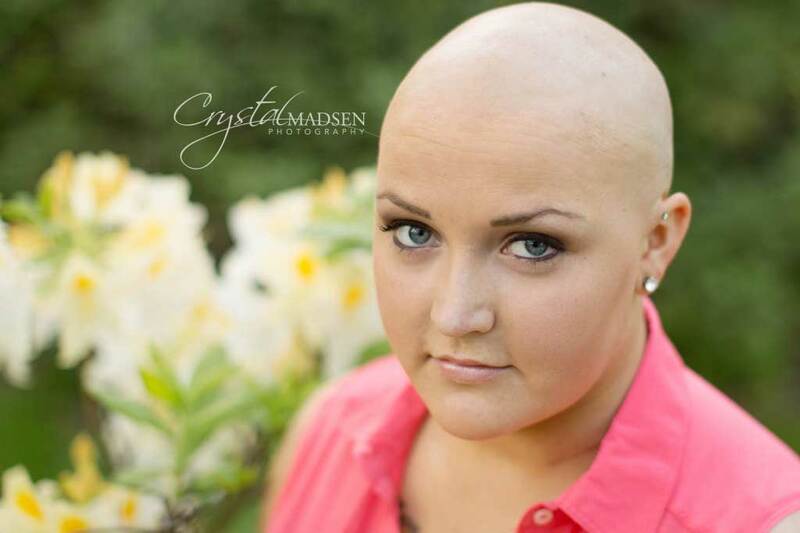 To interact with such a positive person who is fighting cancer is encouraging, but at the same time made me feel inadequate for not approaching my healthy life with as much tenacity as Ashlee is. 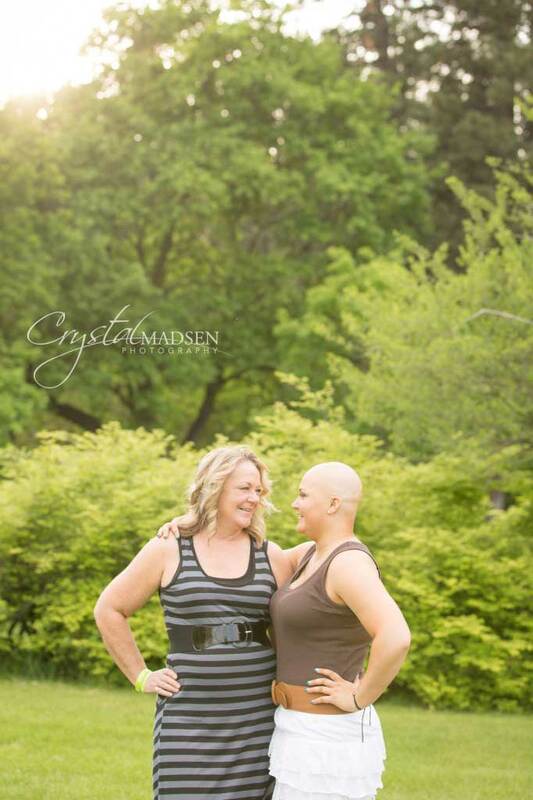 It seems cancer did not change the way of life for her, but just amplified it. This amazing woman seems to have prepared herself for this obstacle years before she was diagnosed. 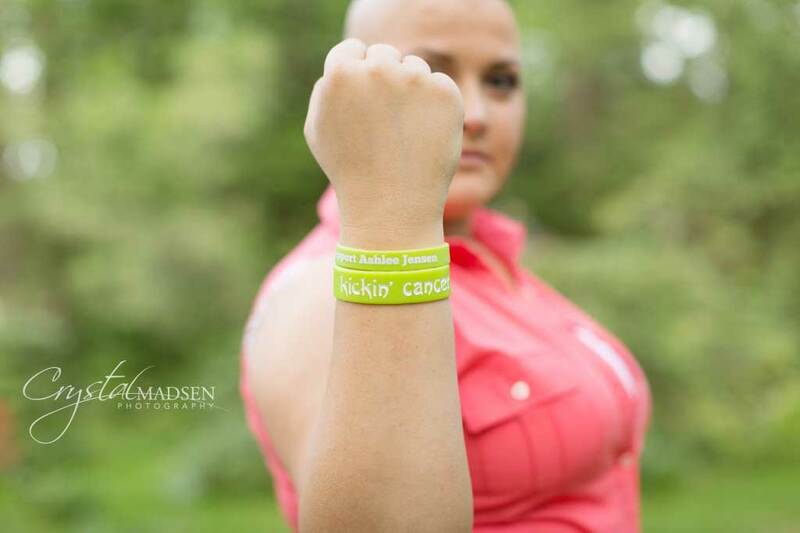 “What doesn’t kill you makes you stronger,” “Believe,” “Sisters,” and the most recent art added to her canvas only weeks after being diagnosed, “Fight Like A Girl.” I saw a quote on her personal Facebook timeline that read something along the lines of, “I was given this fight because I can handle it.” If anyone can battle, fight and beat cancer, it’s Ashlee and her friends and family. 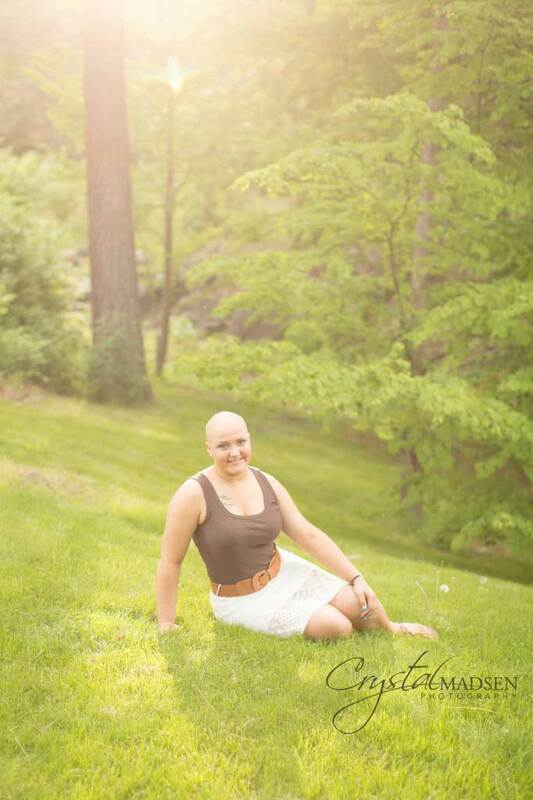 The most recent news that we have received is that Ashlee’s body is responding wonderously to the chemo treatments. I believe she has one more round of chemo treatments to do, a stem-cell transplant, and fingers crossed for remission! Thank you so much to Ashlee’s mom Patti for accompanying Ashlee and being such and obvious supporter. And also to Evy with Makeup By Evelyn Mauro for dedicating her time and talents to help Ashlee shine with confidence.